*Offer strictly for a limited time only and while stocks last. Exclusions apply. Cannot be combined with any other offer. Please do not reply to this message. If you have any questions, please contact us via email at online@coachaustralia.com or call us at 1800-262-246. This message may constitute an advertisement or solicitation. 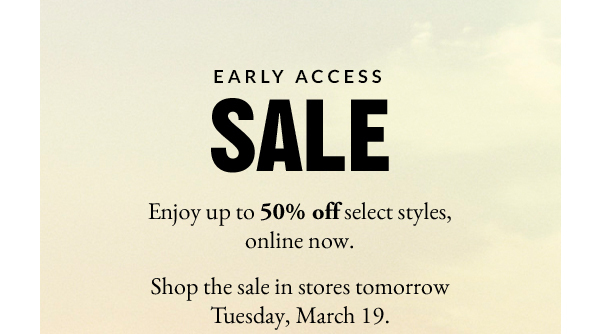 This email was sent to because you have opted in to the Coach Australia mailing list.